Many investors would be cheering those who had already invested in debt mutual fund schemes over the past year. They would have earned good returns, thanks to demonetisation of old Rs 500 and Rs 1000 notes initiated by the Government of India. The day after the demonetisation move was announced, many expected interest rates will remain continue to move downward, over the next fiscal year. Over the past year, debt schemes have benefited from declining interest rates, much before the repo rate was actually cut by RBI. Many conservative and gullible investors are getting lured their high safe returns generated by various debt schemes. They are falling prey and pour their money into debt funds with the notion that these are safe, without understanding debt fund risk like in equity schemes. Debt funds do not invest in equity, they only invest in debt instruments issued by the government, banks, and corporate entities. Therefore debt funds may have many type of risks that are inherited by any debt mutual fund scheme’s portfolio in the form of interest rate cycle, credit of the underlying investments and average duration of scheme’s portfolio, which is lesser known by a layman investor. Unfortunately, while picking debt schemes, most investors focus on only past high returns and are prone to think that past returns would sustain in future. They do not recognize the fact while investing in debt scheme offering high returns at the cost of a high risk; hence they could also see value erosion in unfavourable circumstances. 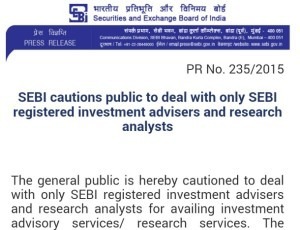 This is because it is very difficult to explain the capital loss in a debt fund to the lay investor while losses in equity mutual fund schemes are more transparent as they are reflected in the mirror of BSE Sensex and Nifty Index. But in debt mutual fund schemes’ performances and their risks are muted under the money market and RBI policies. Interest rate movement risk is associated with change in the price of the bond with the changes in the interest rate in the market. Generally, interest rates and prices of the bonds have an inverse relationship. For instance, when the interest rates in the market rise the value of the bonds falls and vice-versa, and the NAV of the corresponding mutual funds reacts accordingly to some extent. The quantum of loss or gain in the value of the bonds would depend upon the maturity profile of the bond. Higher the term higher the risk carried while interest rate changes on the underlying security. A bond with duration of 10 years term would be impacted more compared to a bond with a 5 year term and vice versa. Therefore when the interest rates fall, bond funds with higher average maturity would benefit the most, whereas when the interest rates rise the impact on long term average maturity would be adverse. Credit quality refers how rating agencies are measured the quality of bond or securities in terms of their creditworthiness, assigned rating as –AA, A BB, AAA and so on. Higher the grade, lower the credit default risk and vice-versa. Credit quality perceives the degree of apprehension of failure to repay the interest or the principal of both. Since debt funds invest in securities issued by banks, corporate etc, this type of risk exists with all debt funds across all schemes. Though, it can be mitigate by diversification while investing in different corporate or banks securities, it cannot be avoided at any cost. Some schemes invest into lower-rated securities, which could make the scheme generate higher returns in short term but it carries with the high risk of losing money in the long-run. To understand whether or not you should invest in debt schemes, it will depend on your investment objectives, time horizon and your asset allocation approach. While inflation rises, the interest rates rise in the market also causes adverse impact on the debt mutual fund. Ideally, investors should look for an investment horizon of three years or more in debt schemes, to also make tax efficiency on their returns. Thus, opting for debt MFs can be a good option for investors based on their interest rate views, investment horizon, and risk appetite, especially in a declining interest rate scenario. They can even hedge against downtrend in equity funds, debt funds should be part of your asset allocation to give the balance of one’s portfolio. While selecting debt funds, investor should be selective among the debt schemes as the interest rates could be headed at either side or could backfire badly.